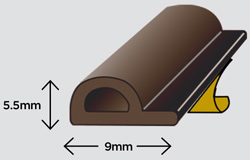 Brown P strip rubber draught excluder. Keep the heat in your home. Fits ALL windows and doors.